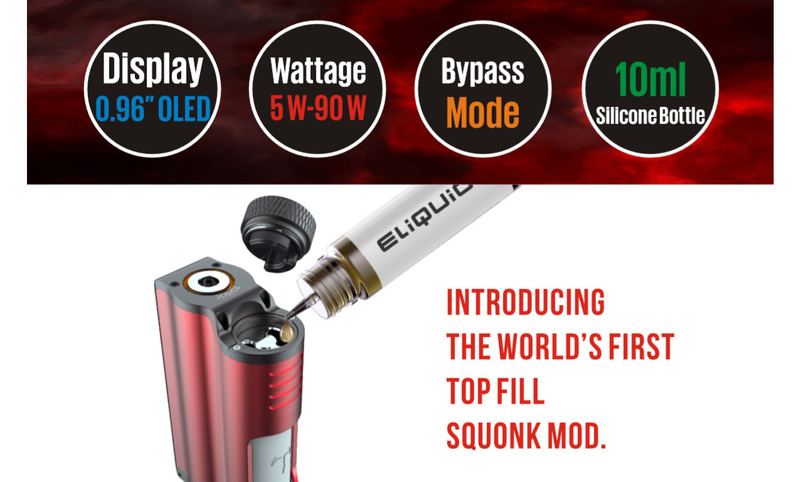 Smok MAG Grip, a new member of MAG family, is also worth looking forward to. It still continues the features of the handheld mod, exquisite fire key, and magazine release. In addition, some fresh design concepts have been added: the distinctive OLED screen area and UP/Down buttons underneath perfectly blend the data reading and data adjusting together. And it is compatible with 21700, 20700 and 18650 battery; what's more, a single 21700/20700 battery can offer a power output up to 100 Watts with high performance. MAG Grip comes with TFV8 Baby V2 tank adopting two new coils---Baby V2 S1 and Baby V2 S2, which are custom-made coils for Stick series battery with intense clouds and flavor. Holding MAG Grip in hand, you'll feel the power of Grip. Tesla GG kit is a tiny and compact vape pod system kit, which can contain 2ml e-liquid and is suitable for nicotine salt. Constructed by aluminum and PC material, it has super light weight and tiny size for easy carrying. Powered by a built-in 380mah battery, it only needs 1.3 hours to be fully charged. Moreover, with the innovative gravity induction boot mode, it is super easy to operate. The biggest highlight of the GG pod system kit is that it supports the connection to the APP on your phone via Bluetooth, you can adjust voltage, temperature, LED light colors on the APP and see more data about the device. Though it is compact, it still has multiple protections including over 10s protection, low-voltage alert, short-circuit protection.